Professionally Exclusive Spa Collection…..Waterlily is a professional Australian Spa Collection formulated exclusively for exquisite Day Spas using the purest Aromaceuticals and Phytonutrients to create a performance driven sensory journey. Be nurtured by our professionally trained and award winning Spa Therapists dedicated to tailoring each Spa Wellness visit to your exacting requirements. Waterlily’s Professional Exclusive Spa Facials are formulated harnessing pure Aromaceutical concentrates with premium dilutions of active botanicals, vitamins and omega rich infusions to deliver a sensory spa ritual that promises visible results. At Aquarius Day Spa we also offer Medifacials using the Synergie Skin Clinical Skincare range. Synergie Skin is a leading Australian manufacturer of premium clinical grade skincare. Their products offer the highest level of quality with UVA/UVB sun protection and the latest in active and ethically safe ingredients. Their fundamental philosophy is to ‘Protect, Change and Nurture’ every skin. A rebalancing facial targeting congested skin equalize oil while effectively detoxifying the complexion. Boosted with nutrient rich marine and herbal infusions, healing essential oils and vitamins this is the ultimate treatment to strengthen and transform to skin to promote a clear and confident complexion. Suitable for all skin types. A refreshing facial enriched in fresh seasonal ingredients to refresh and revitalise skin. 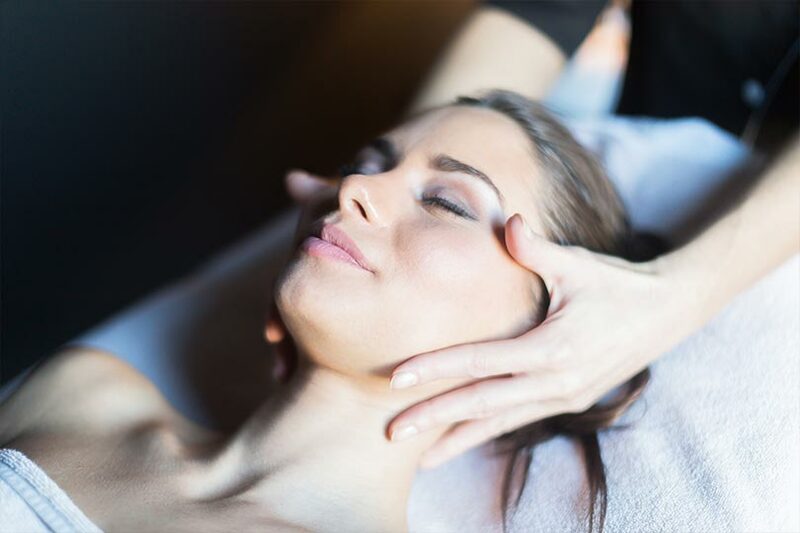 Each facial features a deep cleanse and exfoliation, intense massage emulsion layered with omega oils, vitamins and pure essential oil concentrates. Once infused the treatment is finished with a performance contour masque steeped in active botanicals and pure vitamin C to energise and transform skin. Suitable for all skin types. The ultimate anti-ageing treatment offering an infusion of precious omega serums, collagen and opulent essential oils to deeply rejuvenate replenish and renew. Enriched with exquisite essential oils of rose balsam, crushed nut butters and anti-ageing vitamins to deliver the ultimate hydration treatment. Perfect for a mature, dry or sensitive skin. An exfoliating and refining facial treatment rich in enzymatic exotic tropical fruits, pink French clay, crushed citrus rind and a blend of antioxidant berries to revitalise the dullest of skin types. Drenched in natural carotenes, fruit enzymes, and premium fruit concentrates to smooth and brighten, leaving skin luminous, glowing and refreshed. Perfect for skin that has sun damage, pigmentation and fine lines. Enhance your spa treatment with an added indulgence to satisfy the senses. A tailored treatment for congested, acneic & dull skin. This deep cleansing treatment includes an exfoliation to improve skin texture & gentle extractions to remove deep seated impurities. A powerful infusion of biological actives & vitamins to provide luminosity to ageing skin. Galvanic technology is used to infuse active ingredients into the deeper layers & is followed with an anti-ageing mask rich in marine & botanical actives to address free radical damage & reduce the appearance of fine lines, improve dehydration & irritation. The ultimate treatment for those concerned with the signs of ageing & sun damage. Peels can be done as a one off treatment however for best results a course of 4 to 6 is recommended.